Medical grade Beta-tricalcium phosphate, with similar composition to bone mineral, is a kind of amorphous white powder. It is odorless and stable in air which is almost insoluble in cold water and can be decomposed when get heated. Beta-tricalcium phosphate can be dissolved in dilute hydrochloric acid and nitric acid. It has biological compatibility with ethanol and acetic acid and the degradation will occur under physiological conditions and can be absorbed by human tissue. Our medical grade beta tricalcium phosphate meet the Chinese pharmaceutical standards YY / T 0683-2008:surgical implants used β-tricalcium phosphate. β-tricalcium phosphate (β-TCP) having a good biodegradability, biocompatibility, and ability to induce bone, implant body, down the degradation of calcium, phosphorus can enter the circulatory system in vivo, the formation of new bone, so the application of a large number of the bone tissue repair. But its poor toughness, brittle, poor load bearing. Poly-L-lactic acid (PLLA) because of their good biocompatibility and biodegradability advantages, also used in bone tissue repair. Tricalcium phosphate has good biocompatibility, bioactivity and biodegradability. It is ideal repair and substitute materials for human hard tissue and bones. Medical grade beta TCP, as biomaterials of bone substitutes, has been given close attention in the biomedical industry since 1991.
β-tricalcium phosphate as a special form of tricalcium phosphate is commonly used in biomedical field. 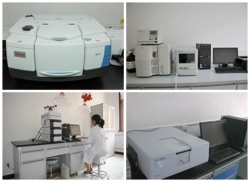 As bone substitutes, β-TCP has very good biocompatibility, bioactivity and biodegradability. It is ideal biomaterial for human hard tissue repair and replacement. As bio material for artificial bone, β-tricalcium phosphate has been widely used in orthopedic clinic, plastic and cosmetic surgery, dental as rehabilitation material due to trauma, cancer, inflammation, bone disease and other bone defects. β-TCP can also be used as a safe food nutrition fortifier to enhance calcium intake. It can also be used for the prevention of calcium deficiency or treatment of related symptoms. β-TCP also serves as an anti-caking agent, PH value regulating agents, buffers etc. in food. beta-tricalcium phosphate has no adverse effects on bone marrow hematopoietic function. Besides, β-TCP has no rejection reaction, no acute toxicity reaction, without allergic phenomenon and is not carcinogenic, Therefore, β-tricalcium phosphate can be widely used in joint and spinal fusion, limb trauma, oral and maxillofacial surgery, cardiovascular surgery, as well as filling the periodontal cavity and so on. With the continuous deepening of research on β-tricalcium phosphate, its application forms have also diversified, and have demonstrated better performance in clinical medicine. β-tricalcium phosphate bone marrow hematopoietic function without adverse reaction, no rejection, no acute toxicity, will not cancerous, no allergies. Therefore, β-tricalcium phosphate is widely used in joints and spinal fusion, limb trauma, oral maxillofacial surgery, cardiovascular surgery, periodontal and filling voids and so on. As people of β-tricalcium phosphate deepening of the research, its application also appeared in the form of diversification, and in clinical medicine reflects better performance. The degree of hemolysis is less than 5%. When β-tricalcium phosphate is implanted into the human body, it can be degraded and absorbed in body fluids. 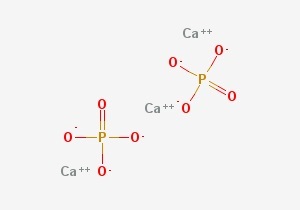 When elements of calcium and phosphorus are absorbed by body fluids, they enter the human circulatory system. For a certain period of time, β-TCP gradually dissolves, disappears and form new bones. The combination of β-tricalcium phosphate and autologous bone marrow is an ideal method for the treatment of bone defects. After the implantation, the local tissue has no obvious inflammation and other reactions. As the carrier of antituberculosis drugs and antibiotics, it is filled into the affected part of osteomyelitis, and the defect bone is basically repaired.